Feature 0-320 degree measuring range, stainless steel material , 2' graduation. 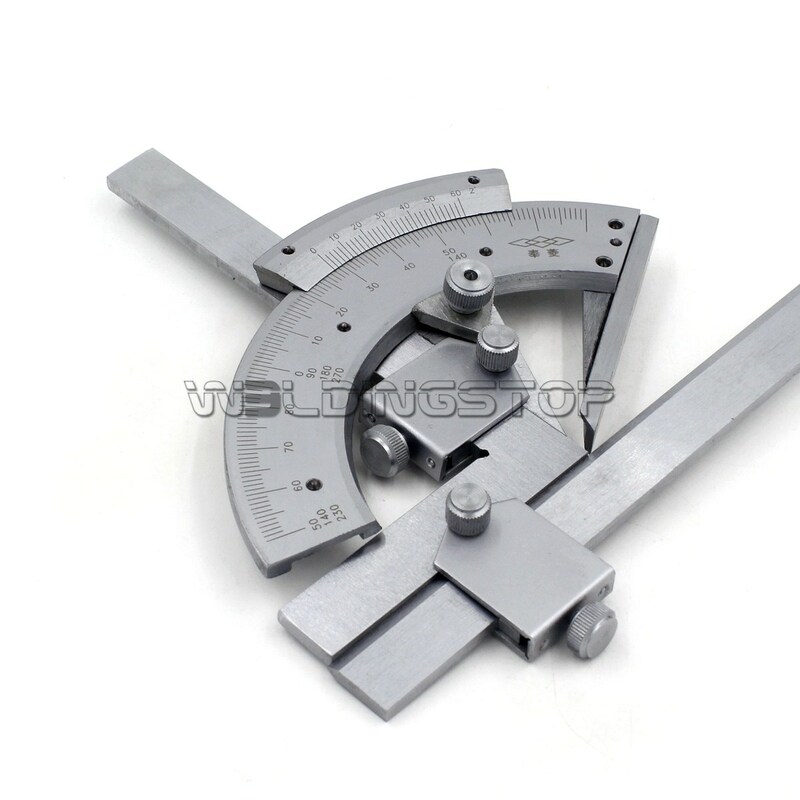 Great for measuring inner and outer angles of the parts. Furnished with a bevel edged extension blade, roller knob and fine adjustment. Used when measuring and marking a top quality unit. WS genuine round WIRE GAUGE..